Makes 12 standard muffins. Also use to make cupcakes and appetizers. Cup Size, top 3"/7.5cm - bottom 2"/5cm - depth 1"/2.5cm. Uniquely designed wide lip edge is ideal for ease in handling. 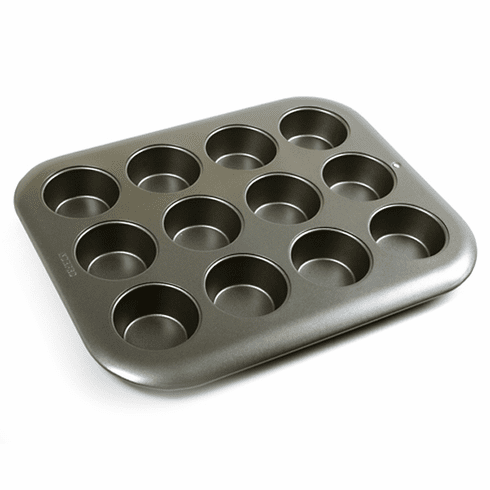 Nonstick finish makes removal of baked goods effortless and cleaning easy. Uniform baking to prevent "hot spots" and burning. Hand washing recommended.